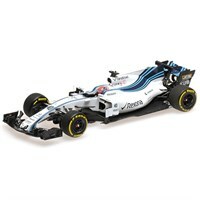 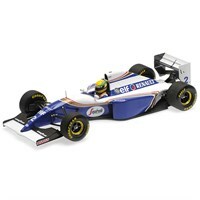 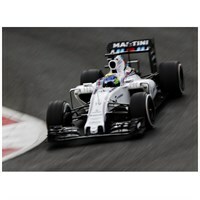 Buy all the latest Williams F1 diecast models from Diecast Legends. Minichamps 1:43 resin model of the #63 Williams FW42 as driven by George Russell in the 2019 Formula One season. 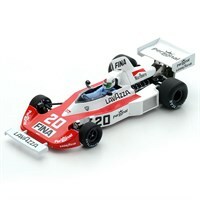 Spark 1:43 resin model of the #20 Williams FW04 as driven by Lella Lombardi in the 1975 US Grand Prix. 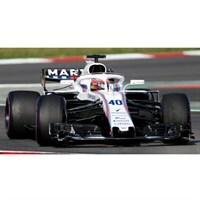 Minichamps 1:18 diecast model of the #35 Williams FW41 as driven by Sergey Sirotkin in the 2018 Formula One season. 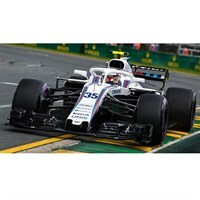 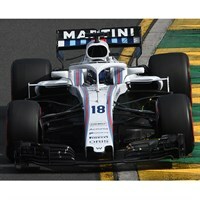 Minichamps 1:18 diecast model of the #18 Williams FW41 as driven by Lance Stroll in the 2018 Formula One season. 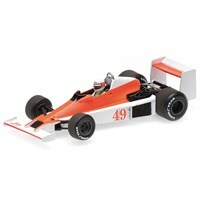 Minichamps 1:43 diecast model of the #49 Williams FW06 as driven by Giacomo Agostini in the 1979 Race of Champions. 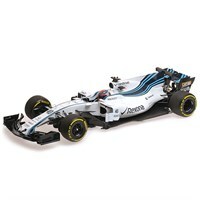 Minichamps 1:43 diecast model of the #27 Williams FW06 as driven by Alan Jones in the 1979 US West Grand Prix. Minichamps 1:43 resin model of the #18 Williams FW40 as driven by Lance Stroll in the 2017 Abu Dhabi Grand Prix. Minichamps 1:18 resin model of the #18 Williams FW40 as driven by Lance Stroll in the 2017 Abu Dhabi Grand Prix. 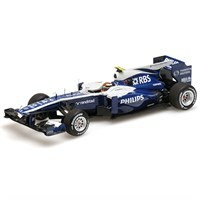 Minichamps 1:18 resin model of the Williams FW38 as driven by Filipe Massa in the 2016 Brazilian Grand Prix. 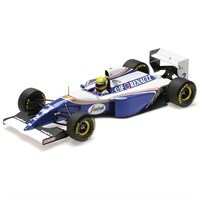 Minichamps 1:43 two car set of the 1978 Williams FW06 as driven by Alan Jones, and the Williams FW40 as driven by Felipe Massa. This set commemorates the Williams F1 40th Anniversary. 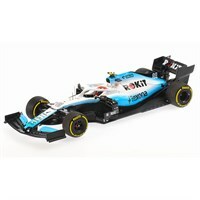 Minichamps 1:43 resin model of the Williams Martini Racing Mercedes Fw40 as driven by Gary Paffett in the 2017 Test Bahrain. Minichamps 1:43 resin model of the #10 Williams FW32 as driven by Nico Hulkenberg in the 2010 Formula One season.